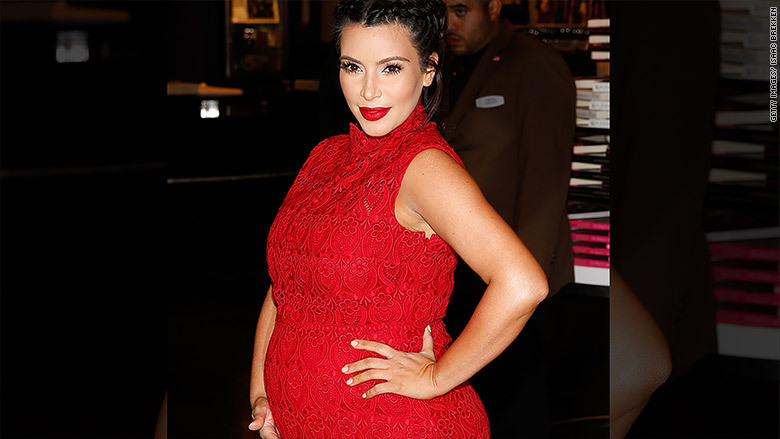 Looks like even Kim Kardashian can reveal too much on Instagram. The Federal Drug Administration issued a warning letter to the maker of a morning sickness drug after Kardashian posted an endorsement of the drug on social media. The FDA letter, which was made public Tuesday, ordered drug maker Duchesnay USA to stop "misbranding" the drug, Diclegis, and issue "corrective messaging." The FDA cited the fact that Kardashian, who had been a paid spokesperson for the company, "entirely omits all risk information" in a post on Instagram, Facebook and Twitter. "OMG. Have you heard about this? As you guys know my #morningsickness has been pretty bad ... so I talked to my doctor," Kardashian wrote in the photo's caption. "He prescribed me #Diclegis, and I felt a lot better and most importantly, it's been studied and there was no increased risk to the baby. I'm so excited and happy with my results that I'm partnering with Duchesnay USA to raise awareness about treating morning sickness." The company released a statement last month noting the reality star's support of the drug. But a spokesperson for Duchesnay USA told CNNMoney on Tuesday that the "partnership did not go beyond the initial post" to social media. Duchesnay USA also said it would take "quick action." "Duchesnay USA takes its regulatory responsibilities very seriously, and acknowledges that its communications, including in social media as in this particular instance, need to be in accordance with applicable rules and regulations," the statement said. Correction: An earlier version of this article incorrectly described what the drug is used for.